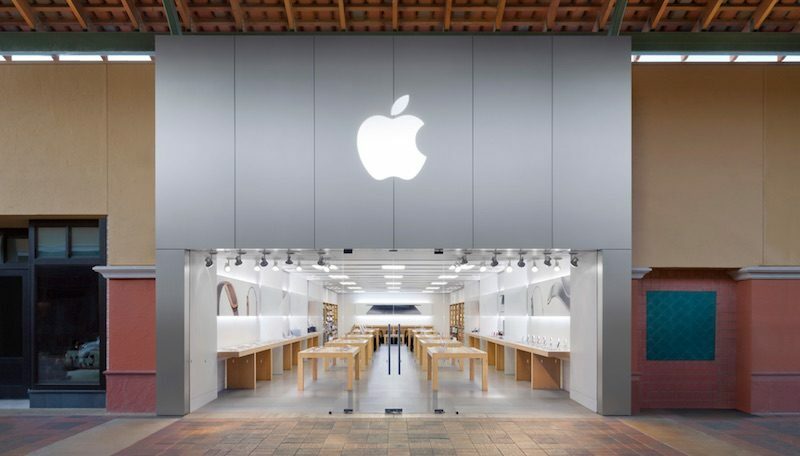 Apple has announced that its retail store at the Simi Valley Town Center in Simi Valley, California, located approximately 30 miles from downtown Los Angeles, will permanently close later this month. Friday, September 15 is the last day the store will be open. Apple provided thanks for "over 10 great years" and advised customers to visit its retail store list to find a nearby location. Apple Simi Valley originally opened in May 2006. Apple hasn't publicly commented on the reason for the store's closure, but multiple tipsters have informed MacRumors that the location may have suffered from low sales and customer traffic — a rarity for an Apple Store. At a minimum, the closure doesn't appear to be related to Apple's ongoing store renovation process across the United States. There were high hopes for Simi Valley Town Center when it opened in 2005, but the outdoor shopping mall hasn't been as bustling as envisioned. The less-than-expected customer traffic may be partially due to an expansion of The Oaks Shopping Center in nearby Thousand Oaks, California in 2008. Apple itself has a retail store at The Oaks that opened in October 2005, and several other locations in the greater Los Angeles area. Over the years, Simi Valley Town Center has lost several retailers, including Abercrombie & Fitch, Hollister, Coach, American Eagle, Cache, Forever 21, and PacSun, according to the Simi Valley Acorn. Macy's also merged its standalone menswear store into its main location at the shopping center earlier this year. A tipster informed us that Simi Valley Town Center may eventually be repurposed as an outlet mall, which could explain Apple's departure. MacRumors has yet to learn whether the store's employees will be laid off or offered the opportunity to transfer to another location. Update: In a statement provided to Quartz, Apple said it has "invested significantly in the surrounding stores" where many of the Simi Valley location's employees will be working. We’re grateful to the millions of customers who have visited Apple Simi Valley since it opened more than 10 years ago. We’ve recently invested significantly in the surrounding stores, creating bigger spaces that feature our latest design. Apple Simi Valley will close September 15, the day before we re-open our renovated Apple Topanga. We invite our customers to visit us at Apple Topanga or at nearby Apple The Oaks, where many of their favorite Simi Valley Apple employees will be working. Apple's nearby Westfield Topanga store in Canoga Park, California will reopen Saturday, September 16 following renovations. Is this the first time an Apple Store has been permanently closed? Because I don't remember hearing anything like this happening. I know one small one closed in Japan at some point in the past year. But it's definitely extremely rare. This mall has been dead for the last 5-6 years. The Apple Store would still be somewhat busy but there are other options not far away (Thousand Oaks is 8 miles and Woodland Hills maybe 12). I would ALWAYS go here for service because he wait time was really low and most fixes were done within an hour. Thousand Oaks was recently closed for 6 months during a remodel. Simi store was pretty busy during that time. Never heard of Simi Valley so I looked it up. Then I searched for all the Apple Stores in that area and around LA and holy crap there are a lot of Apple Stores around there! There are even some within walking distance to each other. I thought I was lucky to have two in my city but California is ridiculous. A lot of stores in the LA area but it's a bit deceiving because traffic is so horrible stores miles away from each other could also be 30 minutes apart. That is why there are so many stores. I've been in the area for over a decade and saw the Town Center go up to lots of fanfare, then quickly plummet in popularity when The Oaks added their own outdoor section of the mall as well as a premium movie theater. In hindsight, an outdoor mall in bloody hot Simi Valley was a bad idea. Not sure the outlet mall would succeed either as the Camarillo outlets are huge and not far away. Seriously? Japan? Interesting. I figured you'd say somewhere else in the US, so I'm rather surprised to hear this. I used to live in LA and only ever heard about Simi Valley because, for some reason, the news reports tons of violent crimes in that area. Like, half the news is murders in Simi Valley. It's also where they trade the money in the movie The Big Lebowski. Simi is one of the safest areas. It's been top ten safest in cities in the usa. We have a large population of LAPD that live in the area. Heck I have three on my block. Article cites the source as being "A tipster". Was he a hipster tipster? It's the boon docks out there, literally live stock in people's yards and whatnot. It may be *relatively* close to LA but the two are worlds apart. I don't know how many people live there but it can't be a large number, I'd expect Apple would prefer people drive the 15-20 minutes to Thousand Oaks instead. Could not be any less true.